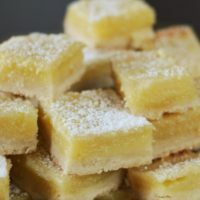 Ina Garten's Lemon Bars - the perfect bite of lemon! These Lemon Bars from Ina Garten are hands down the most delicious and decadent dessert I’ve ever made. Keep reading to get the recipe. Yesterday Kayla was in a mood to cook. It was a lazy Sunday so we pulled up our Pinterest app and started searching for Ina Garten recipes. Here lately, we are obsessed with her! I have no clue why. 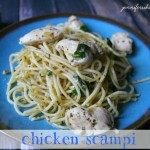 Her food seems so beautiful and fancy, but so easy to make. 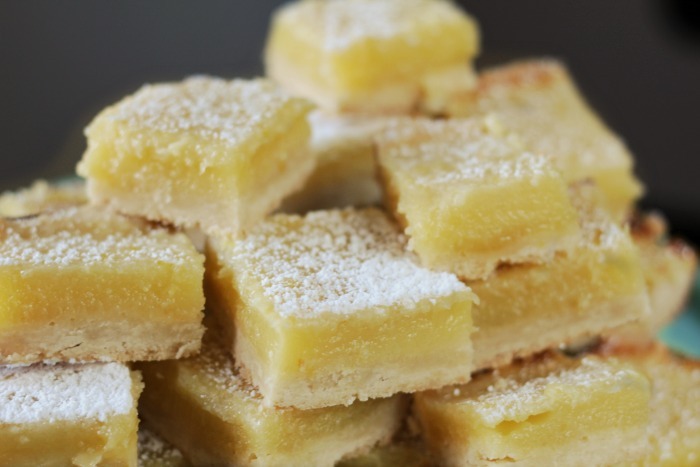 For example — these lemon bars. This recipe whipped up in no time flat. While Kayla was working on our Pioneer Woman coffee concentrate, I made the shortbread crust, baked it in the oven, and then made the lemon filling — which by the way is the most amazing filling I have ever tasted. You do need to make sure you use fresh lemon juice — not that concentrate in the bottle. That stuff is just nasty! 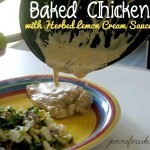 Once you use fresh lemons, you will never want to use the bottle stuff again. Look at how beautiful and creamy the middle of these Lemon Bars turned out. The shortbread crust is soft and delicate and then once you top with powdered sugar, you have reached sweet perfection. Be sure and follow the recipe to the tee. Don’t try to add the lemon filling while the crust is hot. When you pull it from the oven, let it sit and then go throw on some Netflix or Hulu and watch a couple of episodes of something. Then when you come back, fill the crust and finish baking. Once it comes out of the oven, let it cool completely before cutting. The first bite is very tart until you get used to the lemon taste. The powdered sugar on top cuts down on that. Recipe adapted from Ina Garten’s Lemon Bars recipe. These look so good. It’s been way too long since I’ve had any lemon bars. 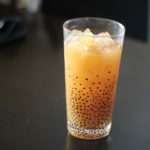 OK I most definitely need to try making these, they sound like they would be right up my street and I really am a sucker for anything lemon! I love lemon – all thing lemon! 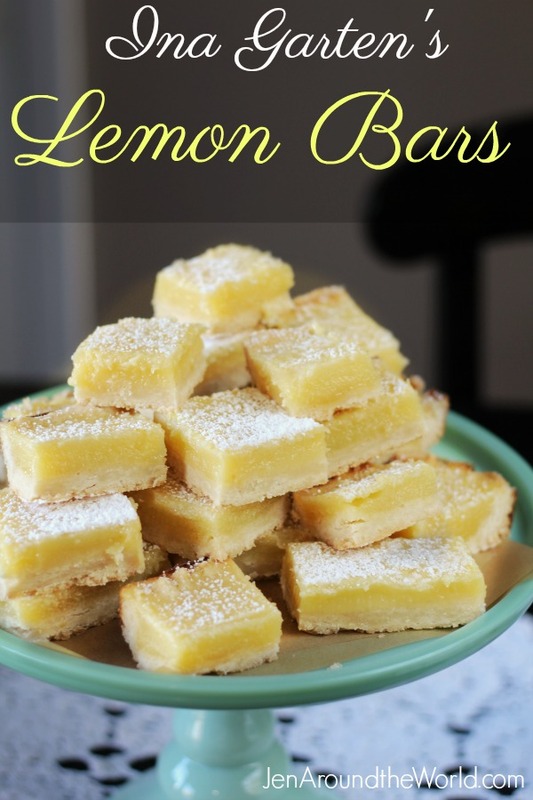 Lemon bars are one of my favorites. I haven’t had them since becoming gluten free though. 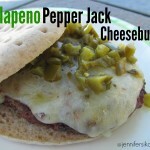 I should find a crust that is GF and make these! 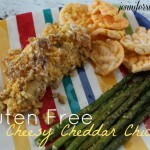 I make these all the time gluten free. Just swap out the flour for an all purpose gluten free flour. I’ve used Bob’s Red Mill all purpose gluten free flour, also I use America’s Test Kitchen recipe to make my own gluten free flour. 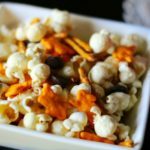 Their recipe is amazing, but in a pinch I use Bob’s Red Mill. 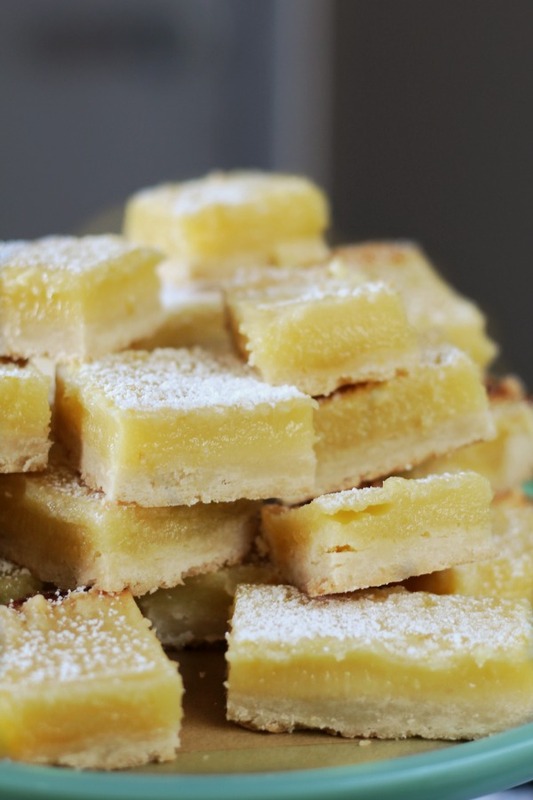 Lemon bars are one of my favourites. This recipe sounds so good. I have to try it. 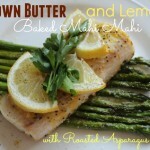 I love anything lemon and these look so delicious. This is the little bit of sunshine I need in my life to welcome in the warmer weather (hopefully soon). How long should the dough be chilled before baking? Just about 15 minutes is fine. 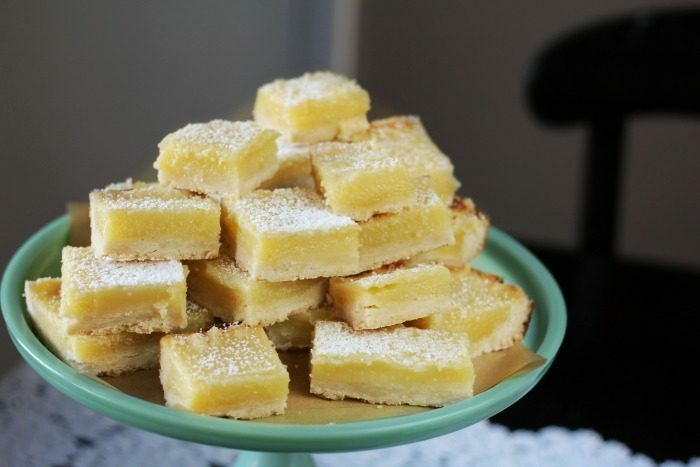 Just found your blog when I googled “Ina Garten’s Lemon Bars.” I made these years ago and my husband continues to speak of them wistfully so I have decided to make them again. I remember how good they are and that is exactly why I rarely bake… sweet carbs are just a little too tempting to be left alone in the house with me. But I want to do something nice for hubby and I know these will be a smashing hit. I’m looking forward to trying out your recipes. i read someone thought too much flour in the lemon filling…is there? Do u think if I cut the recipe in half, it would be enough for an 8×8 square pan? dont think I need a full 9 × 12 pan..